In a small saucepan, mix together the oats, almond milk and date syrup. Heat up on low heat and cook until it thickens (about 5 min). Pour the porridge in a bowl. 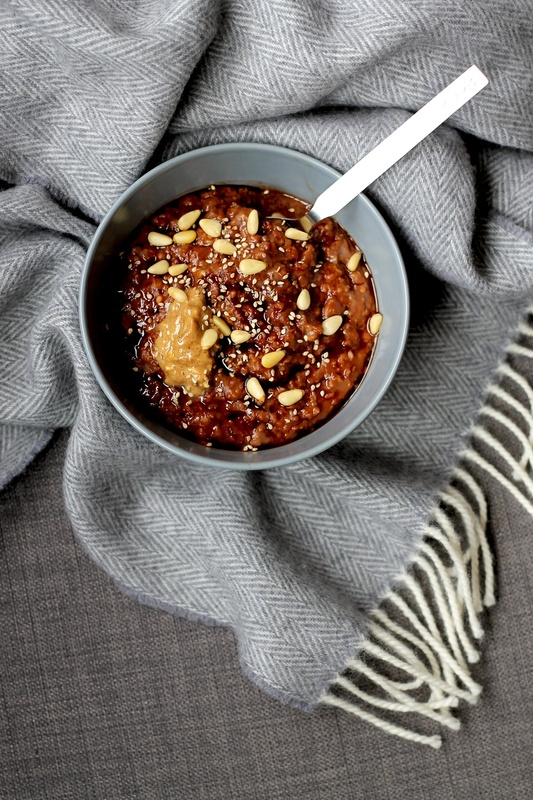 Drizzle with a little bit of date syrup, sprinkle with the nuts and seeds and spoon away immediately!